Both the sea and the sky shimmer slightly pink, combined with turqoise and deeper blue shades. In early morning you are often lucky to see Vesuvius without the odd cloud covering its peak. 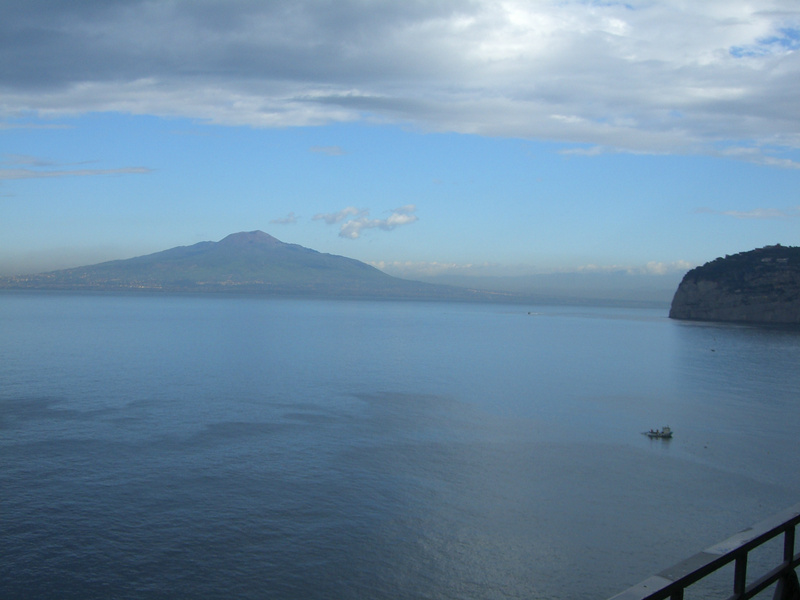 Today the sea is calm, and from a Sorrento garden terrace just above the sea you can see the city of Naples and Pompei stretch below and slightly climb up the foothills of Vesuvius.